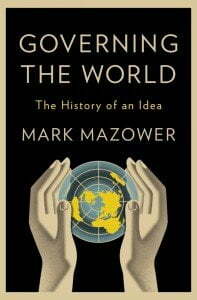 Mark Mazower’s Governing the World surveys the evolution of internationalism over the last two centuries. Mazower’s history provides a rich description of how the concept of internationalism has been contested, altered, and manipulated since the early nineteenth century. After reviewing some of the key points in Mazower’s historical narrative, my review makes two points. First, Governing the World could have benefited from a deeper engagement with theories in the field of international relations that seek to explain the rise and fall of institutionalized international cooperation. Second, Mazower’s arguments about the ways in which contemporary internationalism is eroding state sovereignty are underdeveloped, and, ultimately, unpersuasive.